New Orleans is, in every way, the city that most embraces that high-low bar life. Not just in Louisiana, but in the whole United States. You can drink at a gilded cocktail haven where storied classic cocktails were invented, then stumble outside for a hurricane cocktail consumed right there on the street — yes, it’s legal to drink on the street here, which is obvious as soon as you arrive. Nothing quite exemplifies this dichotomy like Bourbon Street, which is smack in the middle New Orleans’ French Quarter. This small part of New Orleans is both its most famous and its oldest. It’s lined with strip clubs, dives, and live music spots. Some are worth your time, many others are not. Regardless of how you look at it, though, you’re doing Bourbon Street wrong if you’re only going to one bar. Take advantage of being able to walk place to place with a drink in hand. 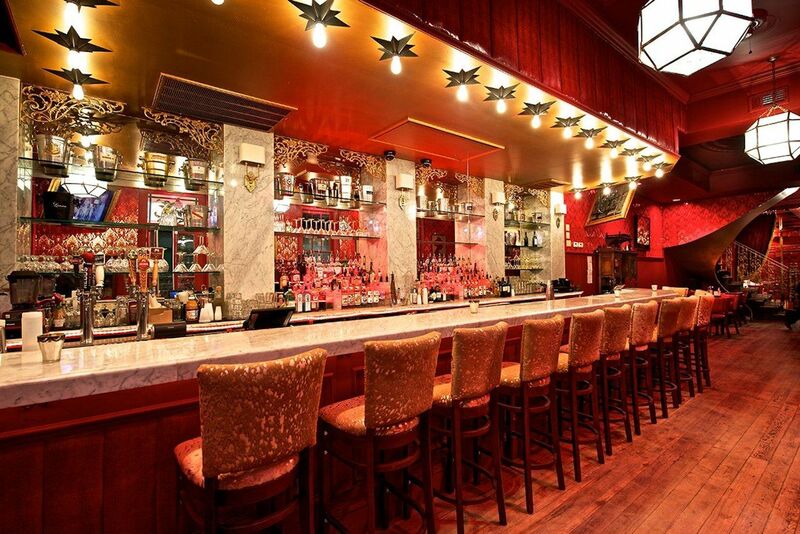 These are the 14 bars on Bourbon Street that you must go to at least once. Note on selection: Only bars physically located on Bourbon Street, not the broader French Quarter, were considered. Since this is a town with plenty drinking history and passion for beverages, there will surely be some strong opinions about what is left off. These are simply the most essential ones to visit — feel free to fight us, but only after we’ve had a hand grenade. Other than the hurricane, NOLA’s most famous oversized and overly strong drink is the hand grenade. 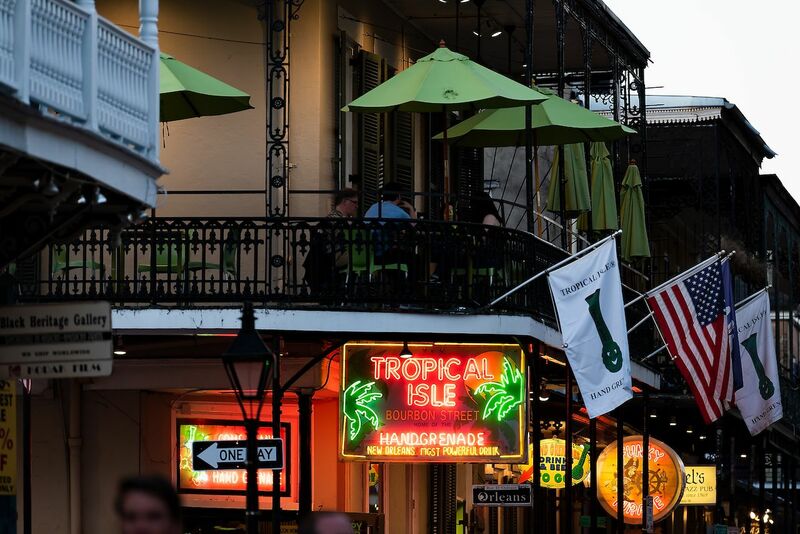 There’s only one chain of bars where you can legally get a true hand grenade (seriously it’s trademarked and aggressively policed) and that’s Tropical Isle. The bar’s tagline is, “Where the fun begins and memories last forever,” but do yourself a favor and only have one hand grenade if you want to keep those memories. There’s a livestreaming webcam at the bar on the corner of Bourbon and Orleans, so you can show the world all of your great Bourbon Street decisions. Think New York’s famous disco club Studio 54, but with an extra “4” and a distinct NOLA clientele. There’s a raised stage for regular live music (rhythm and blues is proudly highlighted on the bar’s entryway sign), and the drinks are intended to keep you dancing. You’ve got to have a way to burn off all the calories from those sweet cocktails, after all. Not a literal beach, but New Orleans is one of those places where you turn a place into whatever you want it to be. The Beach on Bourbon claims to have the largest dance floor out of all the bars on Bourbon Street. If you’re feeling like catching the vibe without catching anything from the people dancing downstairs, head up to the VIP balcony section on the second floor. It’s also a place to catch a game with multiple TVs because New Orleans is very much a sports town. 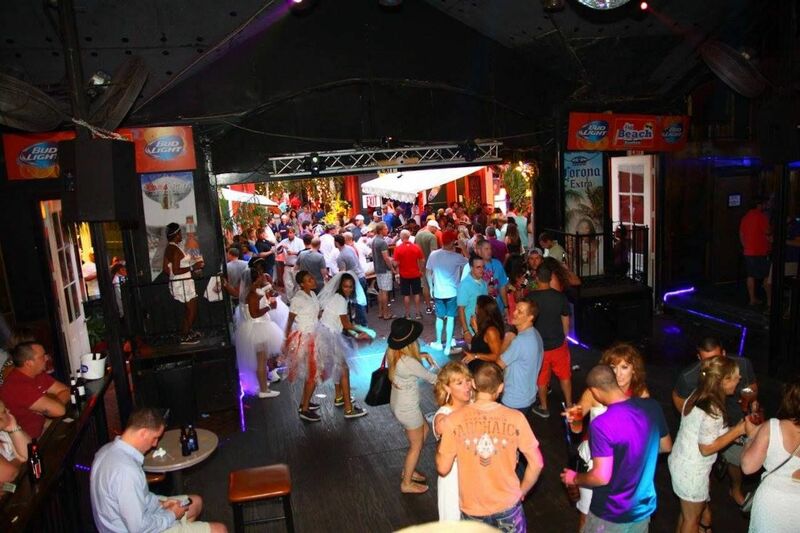 Open 10:00 AM to 3:00 AM, Bourbon Pub and Parade is a gay bar that’s been open since 1974. Downstairs is the “pub” part while upstairs is the “parade.” There are events and themes every night, including karaoke, drag shows, and Throwback Tuesdays with hits from the 80s and 90s. Screens stream music videos all night long on Fridays and Saturdays. Get away from the cheap beer for a bit at Bourbon O. It started using fresh-squeezed citrus and housemade ingredients in 2013, and the quality shows. It has an impressive whiskey list and a healthy list of classic cocktails. This means that you’ll be paying more for the drinks than you will at any other bars along the street, but it’s worth it. Live jazz music every night starts at 8:00 PM. Opened in the 1930s by a boxing promoter who wanted to copy a Manhattan nightclub, the Famous Door quickly became known as the spot to go for New Orleans jazz. Its musical reputation has died down some and cover bands are normally on the playbill, but it’s still a fun bar to hit for music, dancing, and drinks. Channing Tatum’s bar Saints and Sinners has a lot less of a Magic Mike atmosphere than you may be hoping for, but it’s still worth a visit. 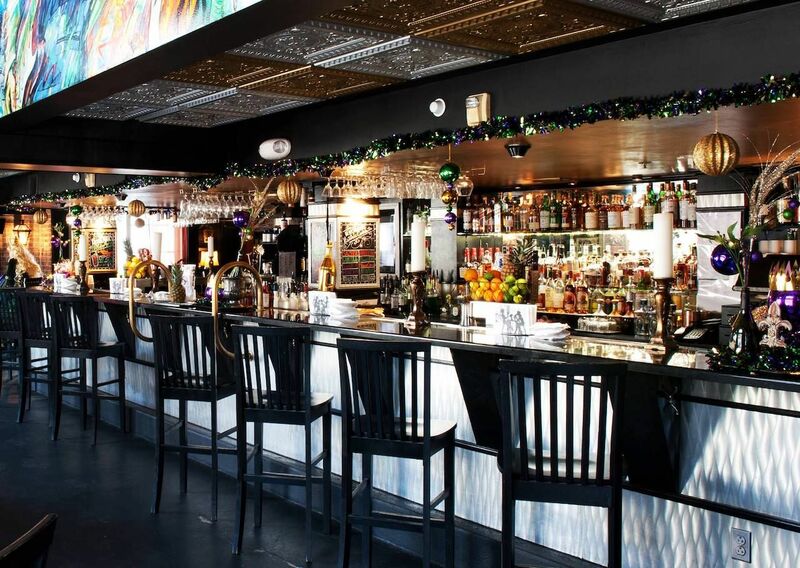 It’s part bar, part restaurant, and an all-around enjoyable experience. It’s styled after old red-light district prostitute houses and burlesque halls, and a portion of the profits are donated to charities around the world. Bourbon Cowboy is here to remind you that, despite how different the bayou feels, you’re still in the deep South. Come for people flying off the mechanical bull in various states of drunkenness, stay for the balcony on the upper floor. The music is a mix of country, rock, and pop, and you can buy $3 tooters (pre-mixed shots in small vials) from hostesses walking around the bar. Drink enough of them and you might just find yourself on the bull. 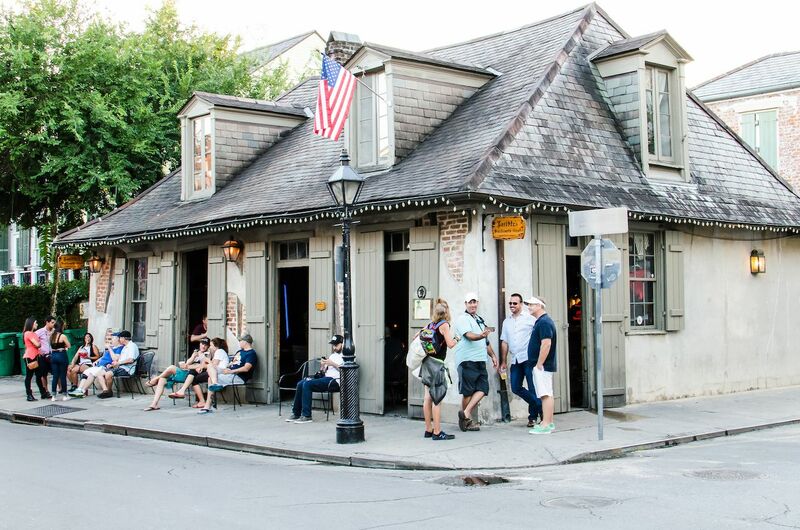 Lafitte’s Blacksmith Shop is allegedly the oldest building to house a bar in the country. The name comes from Jean Lafitte, a privateer and slave trader who, according to legend, used the building as a storehouse in the early 1800s. Today, it’s a dim and dank drinking hole. Take a trip into the past and order a beer or a simple mixed drink in a plastic cup. Be ready to adjust your eyes, though, as you’ll be drinking by candlelight. 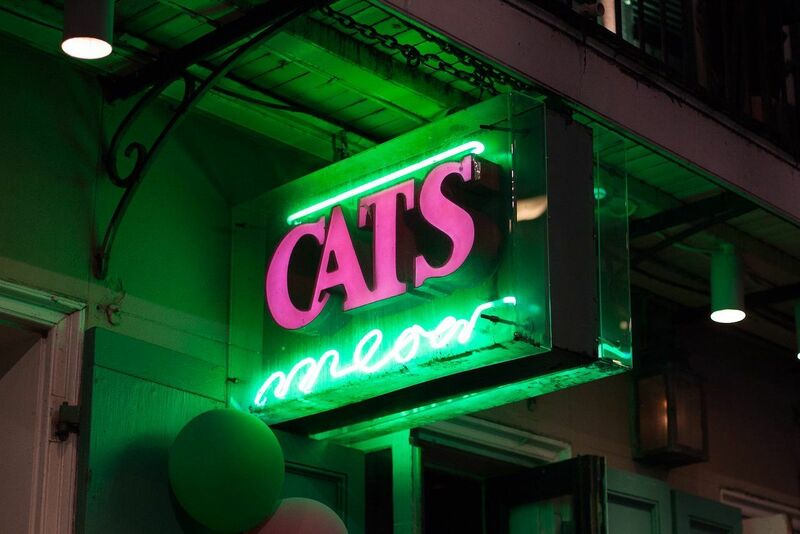 There’s no shortage of strip clubs on Bourbon Street and in New Orleans in general. The vast majority of those only have women on stage. Not so at Oz. Oz is a gay dance club with live strip shows, a balcony bar, and nightly events like drag shows and comedy shows. 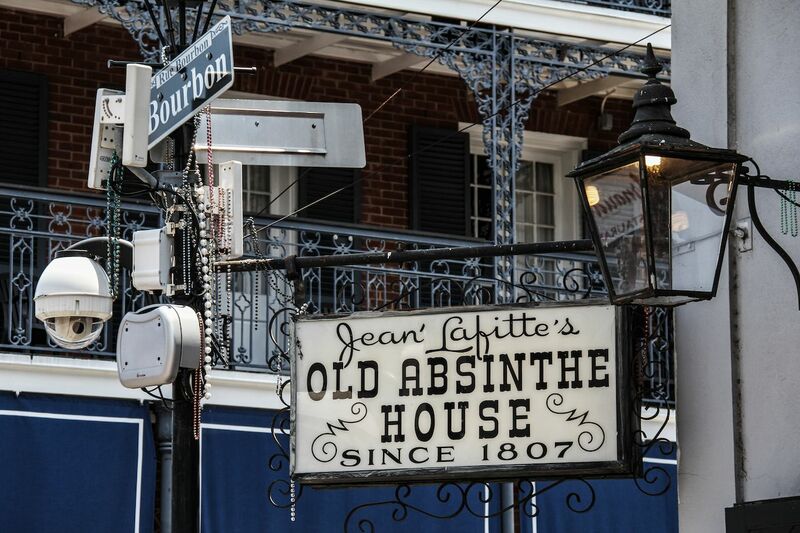 The Old Absinthe House has been around since 1807. It, too, has a connection with privateer Jean Lafitte. According to legend, the bar is where Lafitte and Andrew Jackson negotiated a treaty to join forces against the British in the Battle of New Orleans during the War of 1812. There’s no record of what they drank, but the deal worked. The drink to get here is the signature Absinthe Frappe, which was invented in 1874 and quickly became favorite of writers like Oscar Wilde and Mark Twain. Since 1969, Fritzel’s has been inviting jazz players and jazz lovers from around the world. The food might not be anything to write home about and the drinks can be hit or miss, but you will stay for the live music. Just keep in mind it can get crowded during popular sets. The Cats Meow has been around since the 1990s, and it’s become a karaoke institution. You make the music here — or someone else can, and this includes famous stops from the likes of Miley Cyrus, Charles Barkley, Seal, Weird Al Yankovic, Stormy Daniels, and more. Go early for the three-for-one happy hour offered every day from noon to 8:00 PM, which is just enough to get you through any bad singers. Stop by to see the band B Street Benny. Bourbon Bandstand has live music or a DJ every night, as well as a regular happy hour and drink specials on the upper balcony bar. It’s rowdy both day and night, and the music is always set on “the hits.” Luckily, there’s plenty of room on the dance floor to show off all your moves.